I sent this as a holiday gift and the recipients loved it. They will be using it for group gatherings and especially like the knife drawer, as it keeps the whole unit together nicely. 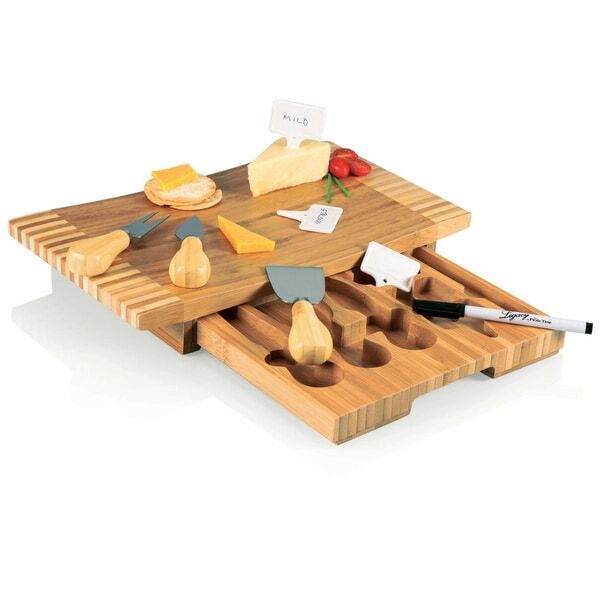 Serve your cheese assortment in style with this Concavo serving tray that includes three cheese tools, three porcelain cheese markers and a wet erase pen. This functional board features a cutting surface and pull-out tool drawers with zebra tray panels/handles on both sides. Cutting board was as pictured and as expected. Recommend as it is a nice board with very good accessories. It looks as nice in person as it does on-line....................my only complaint is that's it smaller than I thought.